Key difference: The term ‘wood’ is used to refer to the trees, specifically it refers to the substance that trees are made out of. Wood is the hard, fibrous structural tissue that is commonly found in the stems and roots of the trees. It is a natural composite of cellulose fibers. Timber, on the other hand, can be used to refer to any stage of the wood after the tree has been cut down. This may include the felled tree, the wood processed for construction, wood pulp for paper production, etc. Timber is also known as lumber. The hard, fibrous substance composing most of the stem and branches of a tree or shrub, and lying beneath the bark; the xylem. The trunks or main stems of trees as suitable for architectural and other purposes; timber or lumber. Essentially, the term ‘wood’ is used to refer to the trees, specifically it refers to the substance that trees are made out of. Wood is the hard, fibrous structural tissue that is commonly found in the stems and roots of the trees. It is a natural composite of cellulose fibers. These fibers are strong in tension and are embedded in a matrix of lignin, due to which the wood is able to resist compression. 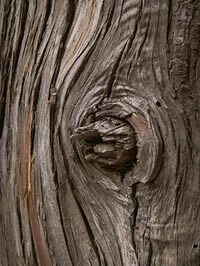 Wood plays numerous roles in the anatomy of the tree. It primary function is to provide support to the tree, in order to enable it to remain straight and grow upward in height. The height is important for the tree as the higher it is, the closer to the sun it gets and the leaves are then able to absorb the sunlight and use it in the process of photosynthesis. Hence, the wood’s support function relates directly to the tree’s ability to acquire food and hence survive. Furthermore, the wood also mediates the transfer of water and nutrients to the leaves and other growing tissues. Again, this is essential for the tree in order to survive. In addition to the above mentioned, the term ‘wood’ is also used to refer to other plant materials that are similar in nature to the ‘hard, fibrous structural tissue.’ It may also refer to materials that are engineered or created from wood, wood chips or fiber. This may include ‘wooden furniture,’ ‘wooden houses,’ ‘wooden toys,’ etc. 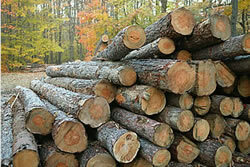 Timber, on the other hand, can be used to refer to any stage of the wood after the tree has been cut down. This may include the felled tree, the wood processed for construction, wood pulp for paper production, etc. Timber is also known as lumber. Timber can be either rough or finished. The rough timber is the raw material, which can be processed and then used for a variety of functions. It will usually require additional cutting and shaping before it can be used. Whereas, finished timber is the wood that has already been processed and usually cut into various sizes. These pieces of finished timber can usually be bought and immediately be used in the project without requiring much or any cutting or shaping. In the United Kingdom and other Commonwealth Countries such as Australia and New Zealand, the term ‘timber’ is used to refer to sawn wood products, such as floor boards. However, in the United States and Canada, ‘timber’ usually refers to felled trees, whereas the sawn wood products are referred to as ‘lumber.’ ‘Timber’ may also used to describe sawn lumber that is not less than 5 inches (127 mm). This is the smallest dimension that timber is available. The phrase, “Timber!” has also been made famous in modern culture as being the word that is being screamed by bust axe-wielding lumberjacks as a felled tree falls to the ground during logging. It is quite similar to the use of “Fore!” in golf. thank you i have gotten brife dicribtion.